A highly experienced former English boxer with over 60 Olympic-style bouts under his belt and ABA certification, Phil has made Perth his new home for the last 8 years. Ever since then, he has been coaching at our club, bringing a welcome variety of new training ideas and techniques to upcoming fighters. Phil works with boxers on their level with the goal of helping them ascend, and is always looking to find new training methods and techniques to keep his sessions fresh. Phil has great motivational skills that can help lift a boxer in times of need. 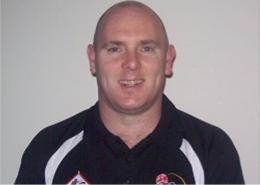 From coaching at his former club (Stoke City) in England, Phil has brought a wealth of knowledge and experience to the Premier boxing club. Copyright 2019 © Premier Boxing Club, All rights reserved.